click photo to enlarge We go to Laughlin Nevada about once a year. 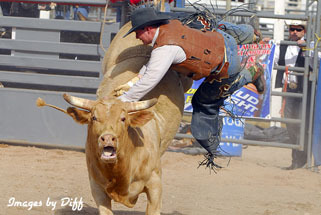 This trip was specifically to photograph the rodeo. 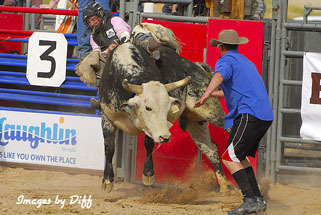 Rather then just 5 pictures of the rodeo this page is specifically on bull riding. 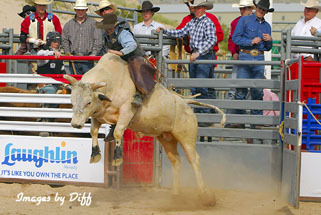 The object for the rider is to stay on the bull for 8 seconds. 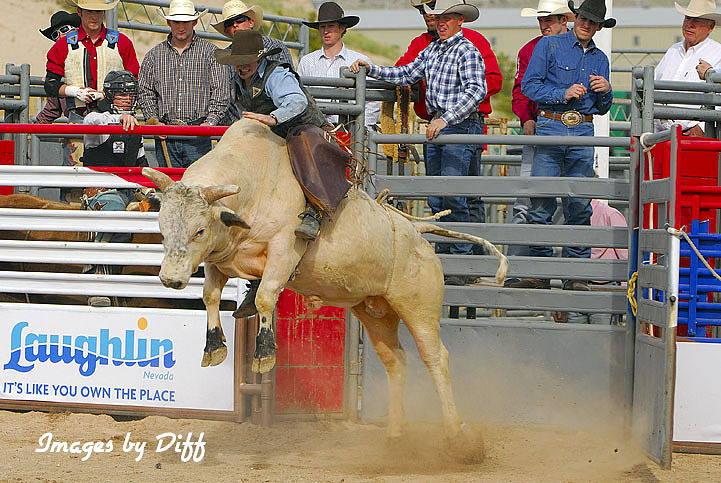 Form and style get you more points and the bulls actions can get more points. click photo to enlarge The poor guy to the left has his hand caught and can't get it out. 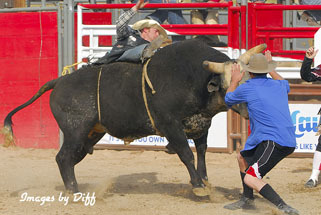 The bull proceeds to spin around and the cowboys is being spun around too. He ends up getting his face planted in the dirt. Ouch... What a way to make a living. The bulls are very powerful and explosive in their movements. 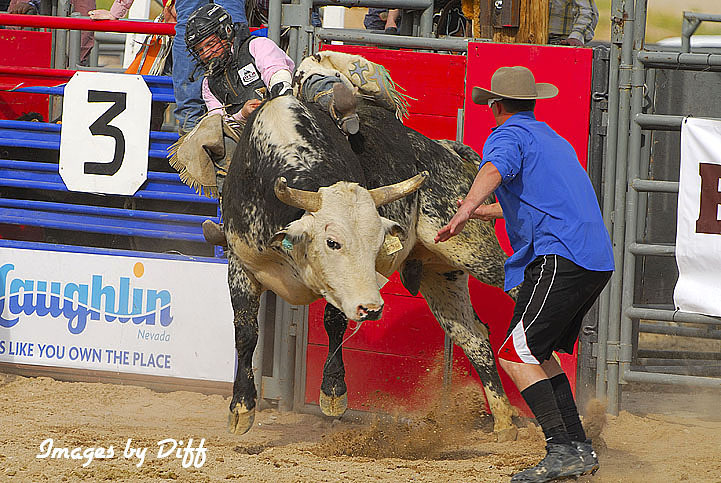 click photo to enlarge The cowboy defender in the blue shirt sees the cowboy about to be tossed off. He runs in front of the bull putting his hands in the bulls face which pisses him off and the bull chases him. 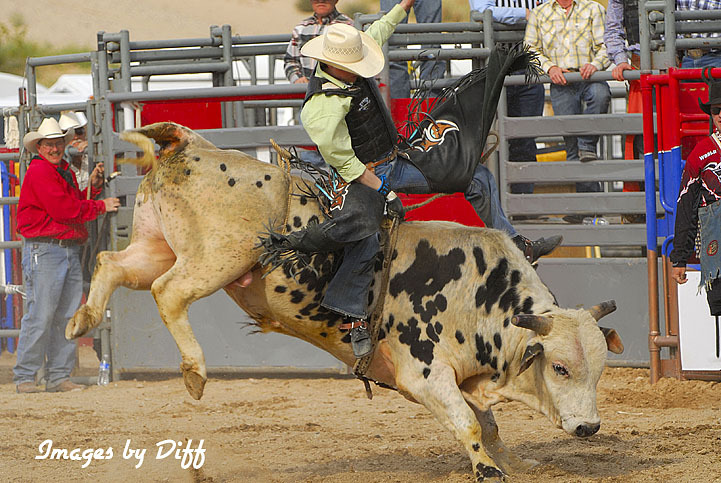 He leads the bull away from the cowboy. Sometimes he actually hits the bull on the head to get his attention. Another tough way to earn a living.